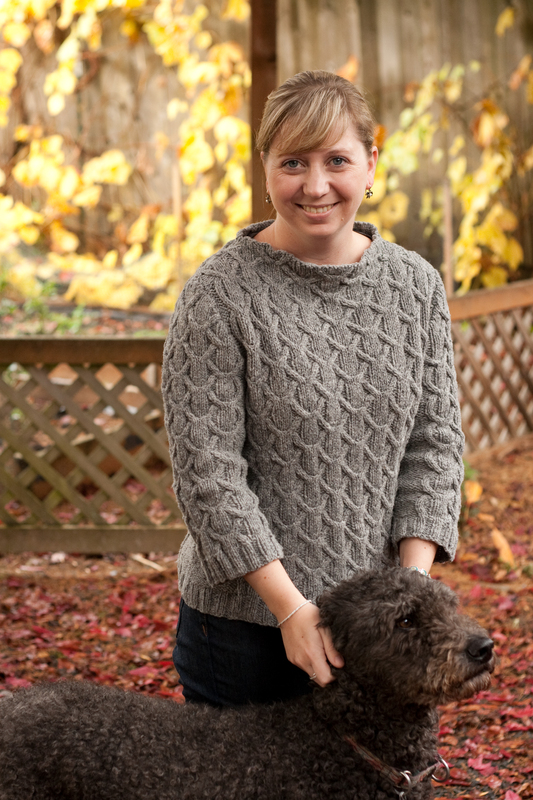 After a whole lot of knitting, seaming, ripping, and re-seaming…I give you my newest handknit sweater! Modifications: My gauge was a tiny bit off (I know, I know…you’re all shocked and surprised! ), but it really wasn’t a big deal. My swatch didn’t grow at all, but I knew that when I wet blocked the sweater it would most certainly grow. So, I didn’t sweat the small gauge difference and blocked the sweater to the measurements I wanted. To make up for the difference in row gauge, I increased 2 rows sooner on each repeat when knitting the sleeves. Then there is the issue of the neck. I followed the pattern, knit the boat neck according to the pattern and had some horrible results. I had decided to attach the neck and shoulders before blocking to make sure the sweater fit. I joined the neck in the round, did the purl row that the pattern required, knit the inside of the neck and whip stitched all of those stitches to the inside of the sweater. Well….I tried it on. And let’s just say, it wasn’t pretty. The neck was wavy and too tall for my short neck. I pulled out all of the whip stitching (which proved to be far more difficult than I had anticipated because the yarn felts onto itself if you look at it funny), and pulled back the neck. The neck is probably 1/2″ shorter than the pattern calls for. In order to make sure the boat neck wasn’t wavy, I changed to a smaller needle when I knit the lining and decreased 8 stitches evenly around. Despite the pattern recommending seaming with a lighter weight yarn, I foolishly seamed with Shelter. The seams were far too bulky and the yarn isn’t nearly strong enough to seam a sweater. I pulled out all of the seaming and used some MCN grey sock yarn to seam it up. It was well worth the extra effort I put into making sure the seaming wasn’t too bulky and will hold up over time. Let’s talk about the yarn, shall we? 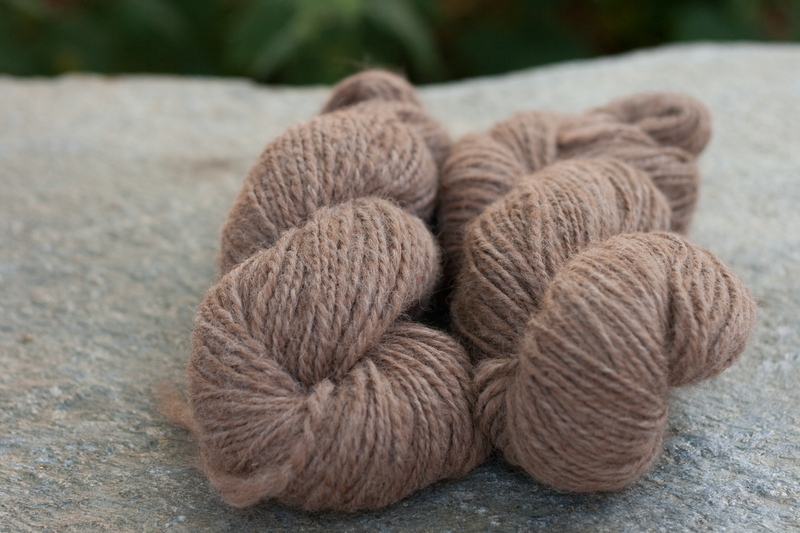 Shelter is a very lofty, 2-ply yarn that is a blend of Targhee wool and Columbia wool that gives it a very light, slightly wooly quality. 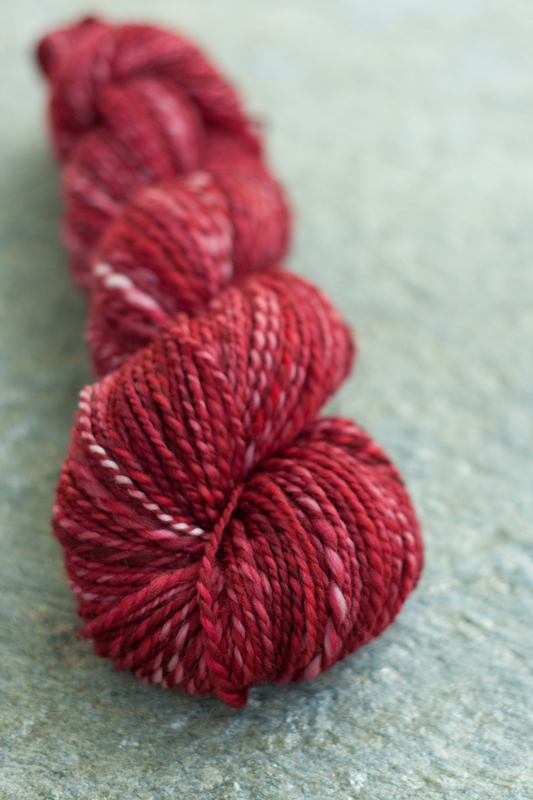 It is certainly a more rustic yarn than many of the luxurious blends I typically knit with. But the loftiness makes it a fantastic sweater yarn. The entire sweater only took about 980 yards and weighs less than a pound. 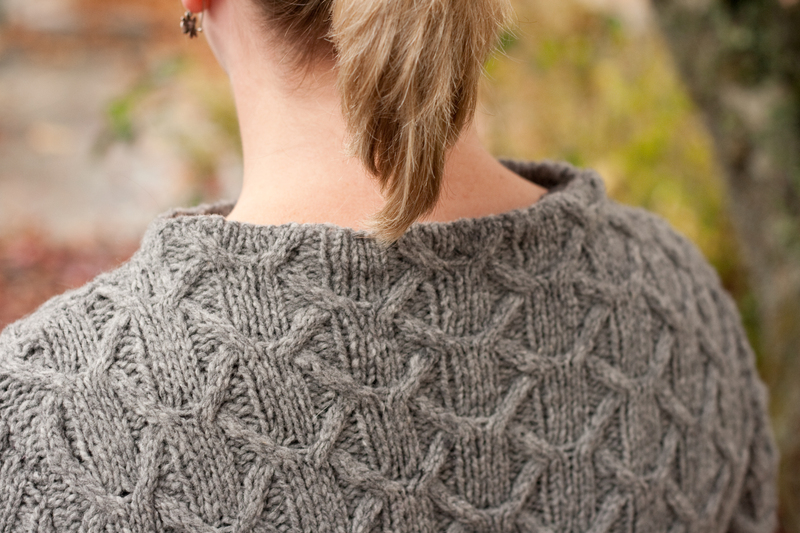 For those sweater knitters out there, you understand that this is kind of a big deal. The finished sweater barely weighs anything, which I think will be helpful in retaining the shape of the sweater. It also means that it doesn’t need to be -20 degrees outside for me to wear a fabulous cabled sweater without getting heat stroke. Cables usually eat up yarn yardage like there’s no tomorrow. Shelter, though? Not so much. I’m not sure I could wear a scarf or something really close to my skin in Shelter…but it softened up a decent amount when washed. I’ve worn the sweater twice already with just a short-sleeved shirt underneath, and the itch factor hasn’t bothered me at all. Look at those fabulous cables! Now…about the pattern. The pattern was extremely well-written and easy to follow. My only complaint is that the sweater was knit in pieces, which makes it impossible to try on as you knit. I don’t mind the seaming, really…it’s more that I was a little skeptical that the sweater was actually going to fit once I was done! It does, of course…but you really have to trust your gauge swatch and hope for the best! 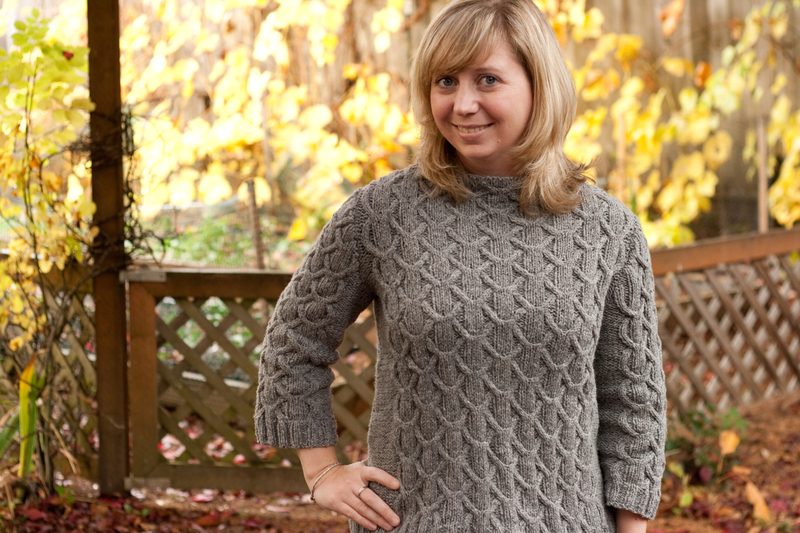 The sleeves are a little large at the cuff, but they match the a-line shape of the sweater. All that being said, I’m completely in love with the finished sweater. It’s actually my favorite handknit sweater thus far! How about a few more pictures? I did finish another knitting project last night, but it’s of the “secret holiday knitting” variety, so it’ll have to wait a while! 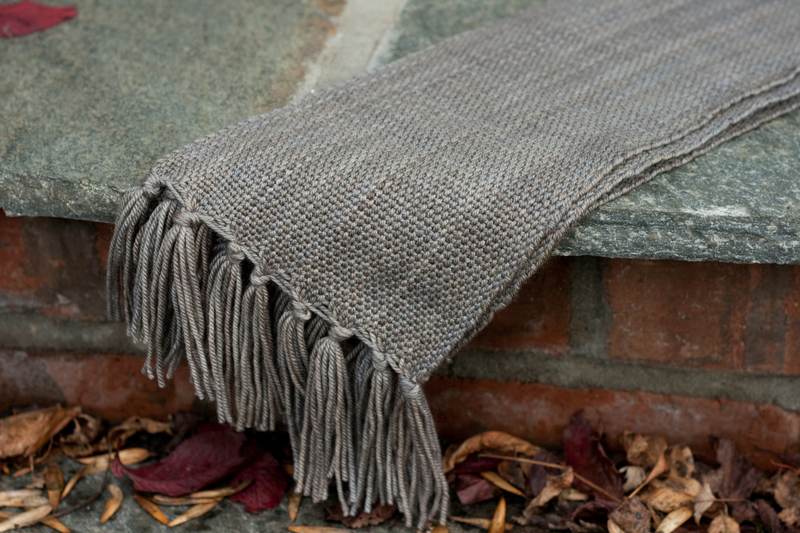 But…I also finished a woven scarf for a customer that I can show you! I think that’s all for now! I just picked up a sock-in-progress that I abandoned way back in February, so hopefully I’ll have something to report on that soon! I ended up with a bit over 100 yards of worsted weight yarn. I still have to spin up the coordinating color, but I suspect they’ll become something Christmasy. My knitting needles saw quite a bit of action today, mostly prompted by the release of Brooklyn Tweed’s Wool People. A few knitting designers that I follow on twitter had tweeted links this morning, and of course I clicked. And then swooned over all the wooly goodness. Wool People is a collection of patterns all designed by different knitting designers and knit with Brooklyn Tweed’s Shelter yarn. 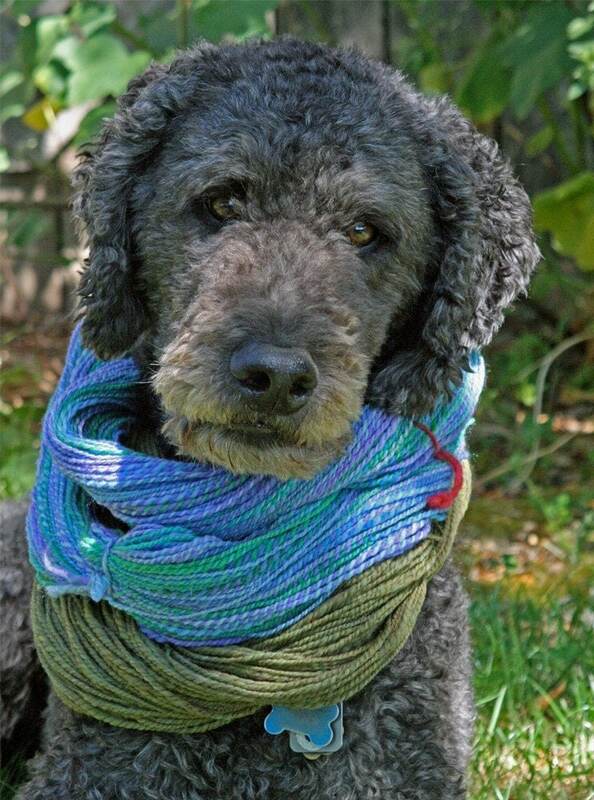 I’m going to go ahead and assume that Jared Flood (the designer behind Brooklyn Tweed and Shelter Yarn) took all the photographs for the patterns (he’s a photographer as well as a knitting designer). The photographs are gorgeous and the patterns (with maybe one or two exceptions) are all things I can picture on my knitting needles. In particular, there are a couple of sweaters in the collection that I want to knit RIGHT. NOW. However, I promised myself I’d finish the sweater I have on the needles before purchasing yarn for another sweater. Well, that prompted a day filled with knitting and an entire sleeve’s worth of progress! I think that my first Wool People sweater will be this one. All that’s left is the feather-and-fan collar/front band and blocking! I don’t know why I waited so long to finish this sweater!